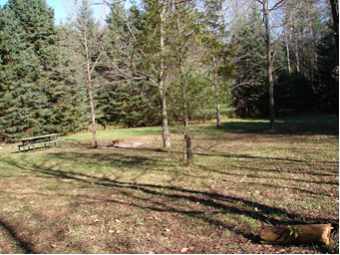 Situated just off Rotary field this large, open site is secluded and surrounded on all sides by pine trees. Lots of space to erect large tents or many small ones! Room for a kitchen shelter if you want to erect one.